Looking for easy projects your kids can do? Handcrafted gifts are precious treasures. Check out these 25 handmade gifts by kids. These gifts are all unique. Each one is perfect to make for year round giving. These are the types of keepsake gifts that I save from year to year. This is a Busy Kids Happy Mom classic. Who doesn’t want a precious, life size reminder of how small their child used to be? You can make these as simple or as elaborate as you like. And the best part is that this craft uses pre-made clay! These sweet ornaments are from the Imagination Tree. There is a great recipe for salt dough that only has three ingredients. From The Art Girl Jackie, you probably already have everything you need for this project in your home right now. After making one of these shirts as a gift you can let your child tie-dye one of their own light colored shirts (a great time to upcycle stained clothes). This make your own snowman gift from Play Dr. Mom is a perfect gift for your kids to make for their friends. 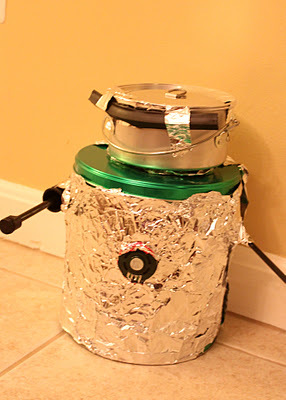 It’s also a great way to get your children involved in the kitchen with you. Play at Home Mom has the perfect concoction for your kids to create for special gown ups in their lives. These bath salts can be made in any color and recipients of this gift will love the gift of relaxation. Busy Kids Happy Mom has something for everyone in this post. 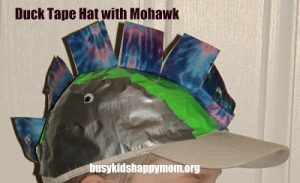 Get your kids crafting with duct tape and when you click the link you’ll find all kinds of artistic inspiration. Mohawk hats, flowers, and jet packs, just to name a few. Rockabye Butterfly has instructions for a beautiful snow globe. This is a simple craft that can be customized to any taste. Encourage kids to be thoughtful of the recipient as they choose what figurines to put inside. Busy Kids Happy Mom is the creator of this beautiful DIY photo ornament. This is a terrific gift for your kids to make for grandparents. Kitchen Counter Chronicles shows readers how to create a beautiful pillow. You can tailor this to any holiday or occasion. However, it’s important to know that this pillow project requires some basic sewing skills. Hands on as We Grow outlines how to make two different styles of tissue paper flowers. This is a great gift for mothers day, birthdays, or as a surprise gift to make someone feel special. 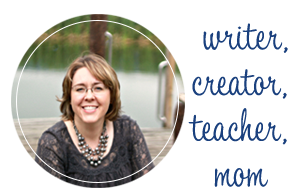 A Mom With a Lesson Plan tells how to make a handstamped canvas. The best part is that your kids get to make the stamps too, making an ultra personalized gift. This craft by Show Tell Share is very versatile. 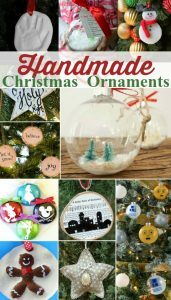 Readers learn how to make soda clay and will find inspiration for how to cut out the shapes and sizes of ornaments. If it’s not Christmas but you still want to make these as a gift consider making very small hearts and tying a long piece of ribbon around it to make a necklace. Get out your glue gun! Busy Kids Happy Mom shows you how to make a wreath out of shells. 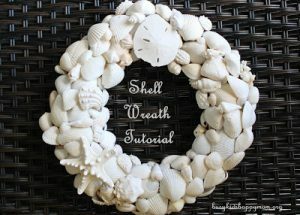 Plan ahead while you’re on vacation and pick up a few extra shells for the wreath. Chances are you have everything you need for this Angry Bird craft from Pink and Green Mama already in your house. You’ll need toilet paper tubes, construction paper, pip cleaners and a few other bits and bobs. These necklaces by The Long Thread require shrinking plastic and some patience. Therefor this DIY is most suited for older kids. The result is lovely. These cute bookmarks by Holiday Crafts and Creations also require very basic hand sewing skills. This would make a great project for beginning sewers. Give one to every bookworm on your list. My Blessings From Above has come up with the perfect way to make your own light sabers. Kids can make these in a jiffy and no body will lose a limb when they start playing. Come Together Kids has a genius technique or transferring kids’ artwork onto pillar candles. This is a great project to do with children before mothers day. Delia Creates uses her own kids toys and her camera to create a DIY I Spy book. What a fabulous idea! This is a simple project with a detailed outcome. Kids will enjoy creating chaotic I Spy scenes for their friends to look through once the gift is given. This easy project by Busy Kids Happy Mom is simple to make and the results are outstanding. All you need is a canvas, some paint, and your child’s thumb. 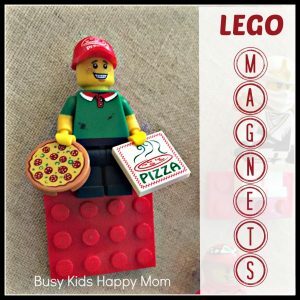 Buys Kids Happy Mom has a great tutorial on making lego blocks and figures into magnets. This is the perfect gift for kids to take to their friend’s birthday parties, or for Father’s Day. Craftiness is Not Optional shows readers how to made adorable no sew felt bows. Anyone can do this project and the outcome is very cute. Upcycle old clothing and make these T-Shirt Bangles by Lil Blue Boo. Kids can easily make these fashion statements and children and adults will both appreciate them as gifts. 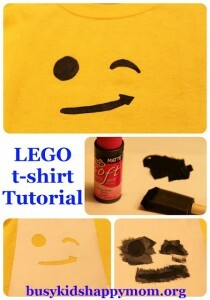 These Lego T-Shirts by Busy Kids Happy Mom are the perfect gift for the Lego lover in your Child’s life. Kids can make several sizes of these shirts and the whole family will match. I hope you look good in yellow. Crafty Steals has a lovely tutorial for a really cute necklace. This one is pretty intricate so stick around to help your child with this project. The results are stunning. These simple handmade gifts by kids will make you happy! 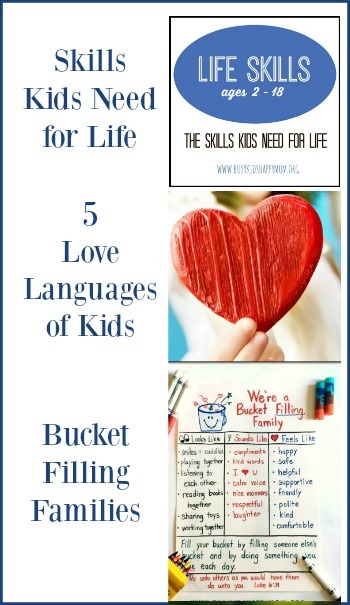 Not only will your kids love making them, but they’ll enjoy giving them too! I know doing art with kids is all about the process, not the product. BUT, I feel if you’re going to spend the time and money…why not give something they can use, display, or enjoy? No special skills needed. If your child is ready to use a glue gun (ages Preschool and up), check here for a great tutorial. What an awesome list. I have so many new ideas for gifts now. Thanks for including our artwork candles! Thank you for the link! What an awesome list! Thank you so much for including our Light Sabers! This is a wonderful list you have put together! Thanks SO much for including us. What a great list! Thanks for including our salt dough footprints! Great list!